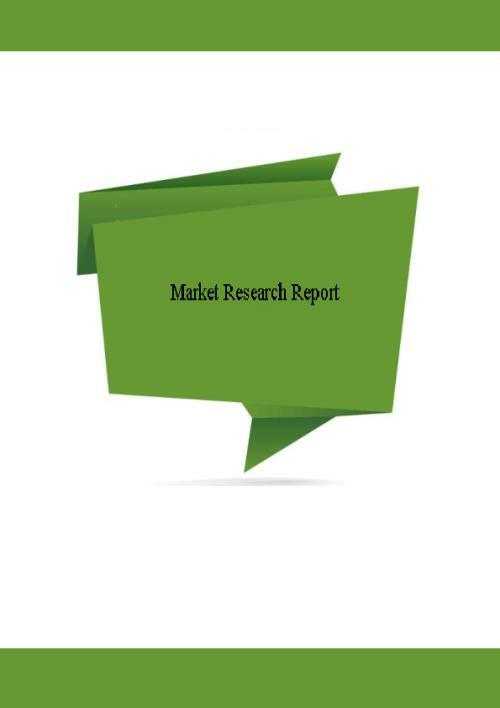 This report is the second edition of the research market aerated concrete products in Russia. This work is a desk study with information sources such as the data of Rosstat (Rosstat), Federal Customs Service of Russia, official statistics railage, sectoral and regional press, annual and quarterly reports of companies, as well as web - sites of producers and consumers of aerated concrete products in Russia. The report consists of 6 Sections, contains 143 pages, including 31 Figures, 55 Tables and 2 Appendices. The first chapter of the report describes the technology of the production of concrete products. This chapter lists all major manufacturers of equipment for the production of these products. The second chapter of the report presents data on resources which are required for the production of concrete products and their characteristics. This chapter explores the characteristics of existing quarries and explores deposits for the production of these products in Russia. The third chapter is devoted to the production of concrete products in Russia. This section of the report presents statistical and estimated data on volumes of production, regional structure of production, production capacity and the use of average annual production capacity building blocks of cellular concrete. This chapter describes current standing of aerated concrete products and projects to create new businesses in Russia for production of these products. The fourth chapter presents information on prices on aerated concrete products on the domestic market from 2004 to 2013, annual, quarterly, monthly and broken down by federal districts. The fifth chapter is devoted to the consumption of aerated concrete products in Russia. This chapter provides a supply-demand balance of the product, regional and sectoral structure of consumption from 2006-2013. The sixth chapter forecasts the development of aerated concrete products in Russia 2020. Appendix 2 shows the addresses and contact information of enterprises that produce aerated concrete products in Russia. - JSC"Lipetsk Silicate Factory" (Lipetsk region). - JSC"Lipetsk plant products Housing" (Lipetsk region). - JSC" Xella Aeroblok - Center" ( Moscow region). - Ltd." Egoryevsky building materials plant" ( Moscow region). - JSC" Liskigazosilikat" (Voronezh region). - Ltd."Eco" ( Yaroslavl region). - JSC" Kostroma Silicate Factory" (Kostroma region). - JSC"Combine Red builder" ( Moscow region). - Ltd." H + H" (Leningrad region). - JSC" EvroAeroBeton" (Leningrad region). - CJSC" Saratov plant of building materials" (Saratov region). - JSC"Plant for the production of products from cellular concrete"Cottage" (Samara region). - «Production and Construction Corporation" warm" (Sverdlovsk region). - Ltd."LSR . Construction -Ural"(Sverdlovsk region). - JSC"Plant AAC" INSI"( Chelyabinsk region). - JSC" Glavnovosibirskstroy" ( factory" Cbits") (Novosibirsk region). Table 16. Characteristics of silicate blocks JSC"Lipetsk Silicate Factory"
Table 18. Nomenclature and specifications of products of JSC" LZID"
Table 22. Physical and technical characteristics of building blocks of cellular concrete production JSC" Liskigazosilikat"
Table 24. Physical and technical characteristics of cellular concrete blocks"Eco"
Table 25. Normative data and dimensions of concrete blocks"Eco"
Table 32. Specifications aerated concrete building blocks manufactured by JSC" EvroAeroBeton"
Table 34. Specifications of concrete blocks production of" PZSP"
Table 36. Range of products of JSC" SZSM"
Table 37. Characteristics of silicate blocks , LLC" JI" warm"
Table 38. Characteristics of silicate blocks JSC"Plant AAC" INSI"
Table 39. Nomenclature and specifications of products of JSC" Glavnovosibirskstroy"
Table 45. Prices for aerated concrete blocks JSC" Xella Aeroblok Center"
Table 46. Prices for aerated concrete blocks of" LZID"
Table 47. Prices for aerated concrete blocks , LLC" Egoryevsky plant of building materials"
Table 48. Prices for aerated concrete blocks , LLC" AeroStoun - Dmitrov"
Table 49. Prices for aerated concrete blocks JSC" EvroAeroBeton"
Table 50. Prices for aerated concrete blocks JSC" SZSM"
Table 51. Prices for aerated concrete blocks , LLC" Volga plant of building materials"
Table 52. Prices for aerated concrete blocks JSC"Plant AAC" INSI"
Table 53. Prices for aerated concrete blocks , LLC"Aeroc St. Petersburg"
Table 54. Prices for aerated concrete blocks of" Bonolit - Building Solutions"
Table 55. Prices for aerated concrete blocks , LLC" PSO "Teplit"